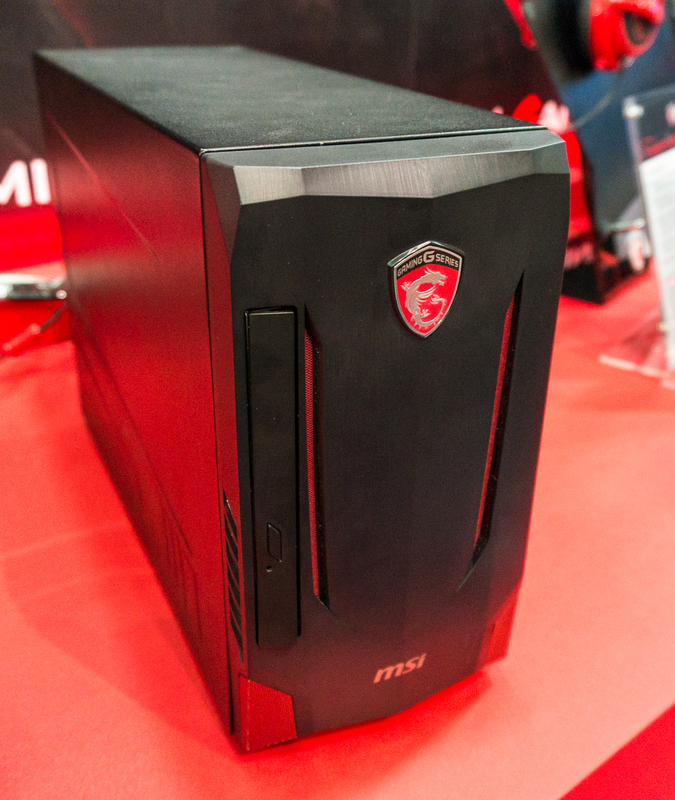 Computex 2015 - MSI has added to its popular Nightblade series, introducing the Nightblade MI at Computex 2015. Even though the Nigthblade MI may look like a smaller form factor than a regular gaming PC, don't let its modest looks fool you. Powered by the Intel Core i7 CPU and running full NVIDIA GeForce GTX 900 video cards, the Nightblade MI has serious gaming hardware in a compact form. The system has been designed for gaming, though the company didn't reveal full system specifications for the Nightblade MI. Gaming PCs have become more popular in recent years, and it should be no surprise that Computex 2015 has had plenty of new products introduced to the consumer market. There is a growing number of selections available, so if you're in the market, you should have your credit card ready to go.